Just as families are starting to search for summer holiday deals, Vodafone has announced it will remove all roaming charges for 40 countries. The team already has in place a ‘Roam-further’ option for post-paid customers, but the ‘Roam-free’ deal will allow the same customers to use their devices as they would at home for no extra cost. 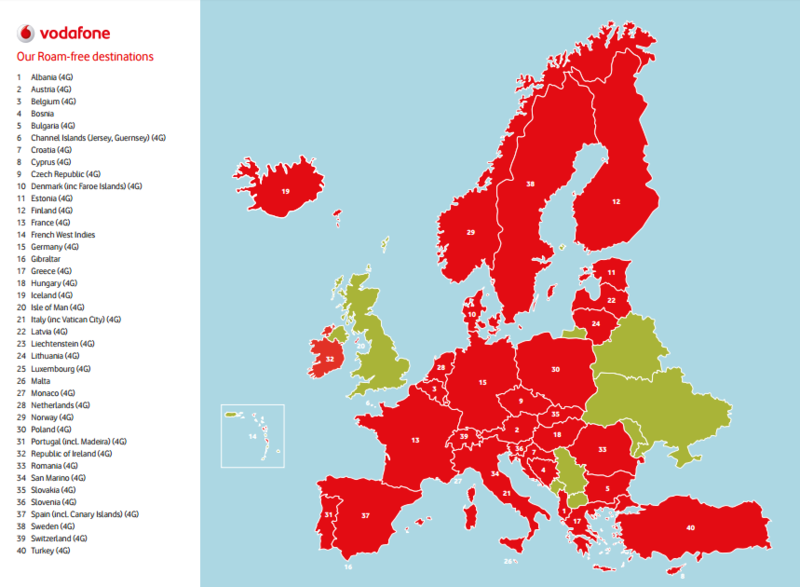 Vodafone claim the new territories which are covered include 80% of customers’ overseas trips each year. Have you ever wondered whether your mates at home want to see your hot-dog legs, but have been held back by the dread of a huge bill at the end? Now you don’t have to as Vodafone has come up with the answer for customers who would rather spend their days with faces dug into screens as opposed to looking at the wondrous surroundings of foreign lands. “First thing first: we’ve been listening,” the team proudly stated. “As the result of loads of conversations with our customers, we know we need to make dealing with us more straightforward, less complex, and to work harder in your favour. The ‘Global Roaming’ offering covers 209 territories around the world. 40 will be included in the ‘Roam-free’ proposition, where there is no extra cost for customers to use UK voice, SMS and data allowances. 60 are included in the ‘Roam-further’ deal, a £5 daily charge to limit financial outgoings. The additional 109 are places where you’ll pay standard roaming rates and presumably be stung by a big bill.